WAUKESHA, Wis. -- One of two Wisconsin girls charged with repeatedly stabbing a classmate to impress the fictitious horror character Slender Man pleaded guilty Monday, but she still faces a trial in the case next month focused on her mental health. Anissa Weier, 15, pleaded guilty to attempted second-degree homicide as a party to a crime, with use of a deadly weapon. She initially faced a charge of attempted first-degree intentional homicide in the 2014 attack on Payton Leutner in Waukesha, a city west of Milwaukee. The plea means her trial next month will look only at whether she is legally responsible for the crime or not guilty because of mental illness. She could face 10 years in prison if she's found guilty. If not, she'll spend three years in a mental hospital. 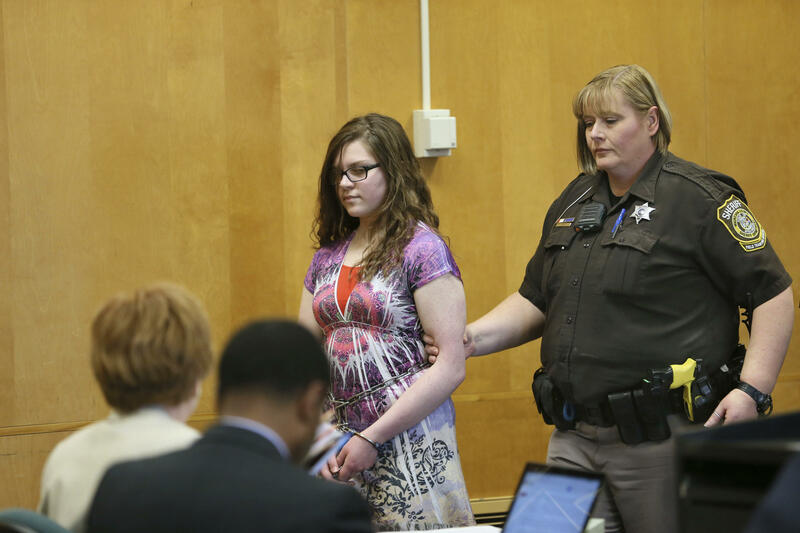 Prosecutors allege she and her co-defendant, Morgan Geyser, stabbed their classmate 19 times in a Waukesha park following a sleepover, then left her and planned to walk hundreds of miles north to meet Slender Man in a forest. Leutner was able to crawl out of the woods in the park to a path where she was found by a bicyclist. Both suspects were 12 at the time of the attack. Geyser also was due in court Monday for a status hearing. She has pleaded not guilty by reason of mental disease to attempted homicide charges in adult court. Weier also entered the same plea initially. Geyser's attorney, Anthony Cotton, said Monday that he and his client plan to proceed to trial. He declined comment on Weier's plea, saying it would be inappropriate to do so. "We have continued to gather crucial information from the focus groups we've been convening repeatedly," he said, adding that they "are confident in our approach."